Welcome to the Alamo Heights Class Of 1963 website. Here you can reconnect with our classmates and join with us in reliving memories of those days we shared at good old AHHS! 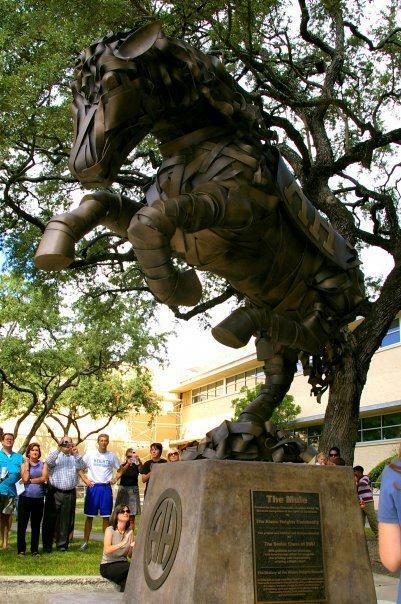 A Brief History: The first Alamo Heights High School was opened in 1909. 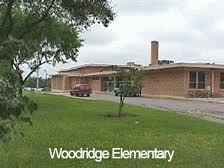 It was a two-room frame building in front of the site of the present Cambridge Elementary School building. In 1912, a new school on the same location contained eight rooms and an auditorium. In 1922, the first high school building was finished and was under supervision of the County Superintendent of Schools. The first graduating class from the high school, in May of 1925, had sixteen graduates. In 1928, the elementary and junior schools were built on the same site. In 1937, a 21-acre tract of land at Broadway and E. Castano was purchased; a new high school would be erected on that land. Soon, the football stadium and tennis courts were on the new grounds. Plans were started before 1941, but they were laid aside. Preliminary drawings of the school began in 1942; many meetings and inspection trips to other schools followed. On April 4, 1948, the bond issue passed by a vote of 3 to 1. Teachers submitted plans for their rooms and the facilities that they would need. A study of the educational needs of the community was made. Construction of the gymnasium began in January of 1949; work on the school started in June of 1949. The homemaking cottage was started in September. The school building was completed and opened for public use in September of 1950. During the late winter of 1956, construction was started on the north wing of the main building, vocal, music and speech rooms, and the auxiliary gymnasium. These facilities were ready for use at the beginning of the next school year. Extensive remodeling of the central wing to increase and improve the science and foreign language laboratories, an addition to the library, and the construction of the south wing were started during the summer of 1960 and were completed early in the spring of 1961. The demonstration-lecture room of the cottage was added during the summer of 1963. An extension to the north wing, additional dressing facilities for physical education, and stadium improvements were completed during the 1964-65 school year. New lights were placed on the football field in 1968, and the natatorium and air conditioning of all classroom buildings were completed during the 1969-70 school year. 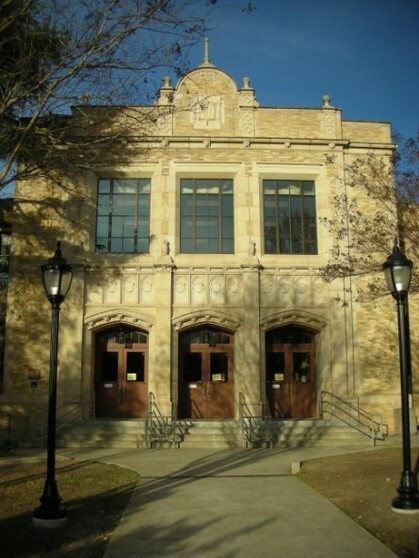 In 1989, 1998, 2000, 2005 and 2010 Alamo Heights patrons approved bond elections to provide improvements and additions to the high school and all district buildings.